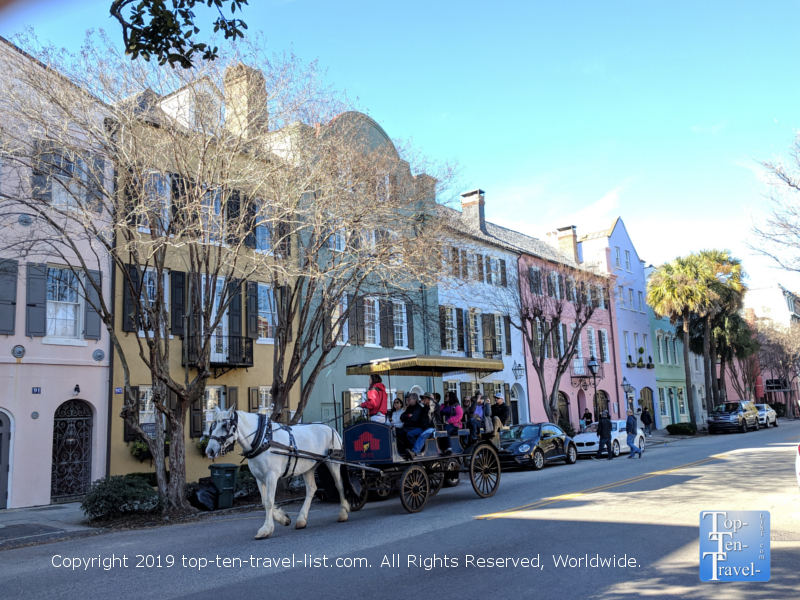 5 Must-Do's in Charleston, South Carolina - Top Ten Travel Blog | Our experiences traveling throughout the US. 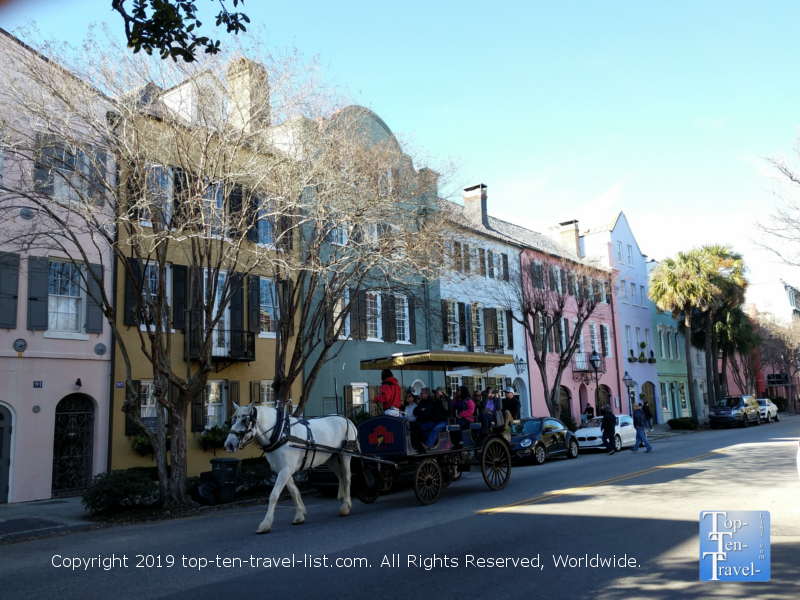 Beautiful historic Charleston, South Carolina, known for its’ charming inns, historic plantations, lovely gardens, colorful architecture, southern style cuisine, barrier islands, and historical attractions, draws history buffs and photographers from around the world. 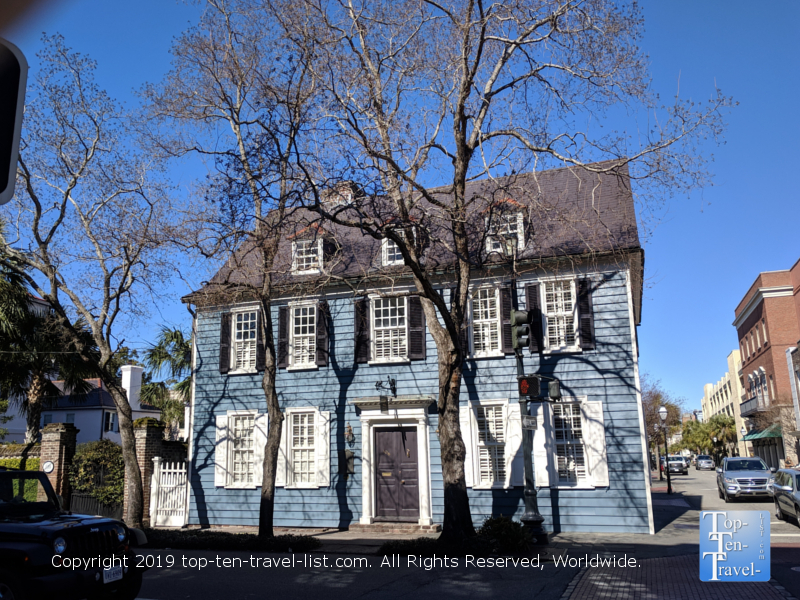 Charleston, the oldest city in South Carolina, was established in 1670 by English colonists. 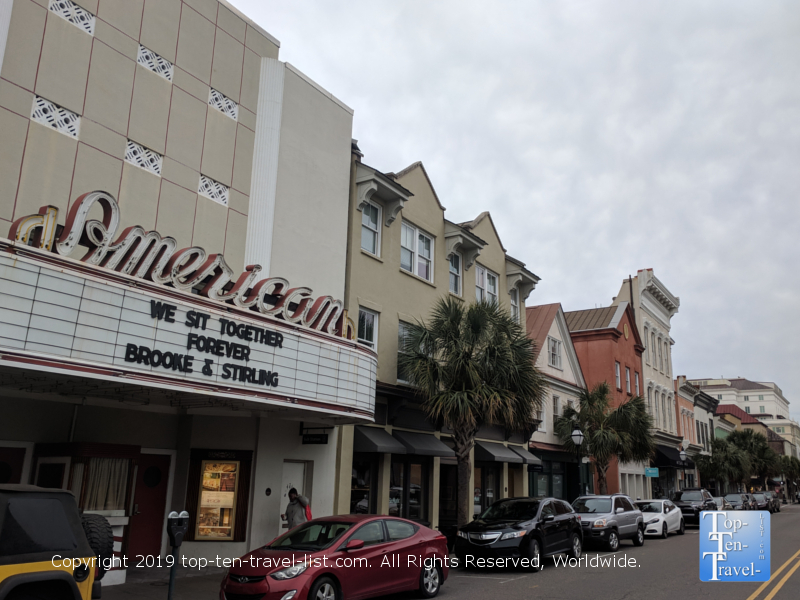 The city has preserved much of its’ quaint historical charm, and thus, is home to one of the most interesting downtowns in the South. 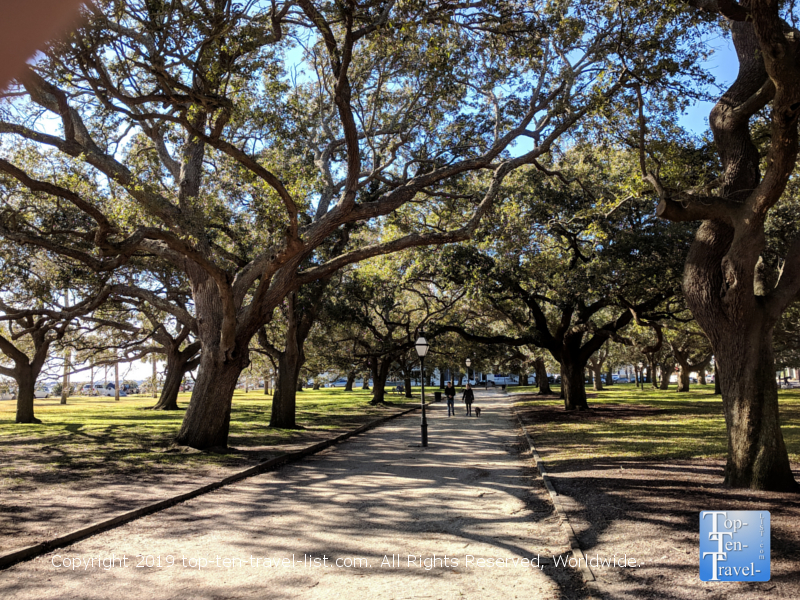 Charleston is home to the second largest historical district in the country, with so much to explore, making it the perfect destination for history buffs. 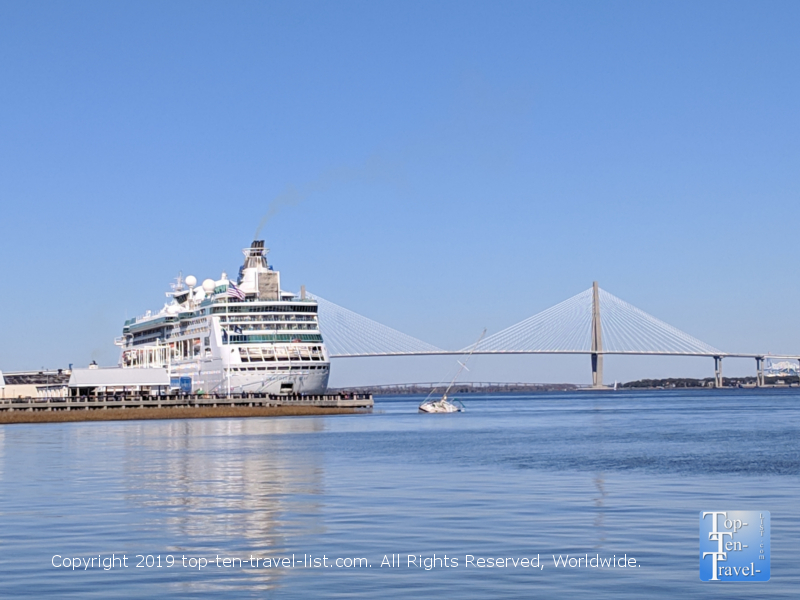 Visiting Charleston is like taking a step back in time as most of the city’s stunning architecture still remains. 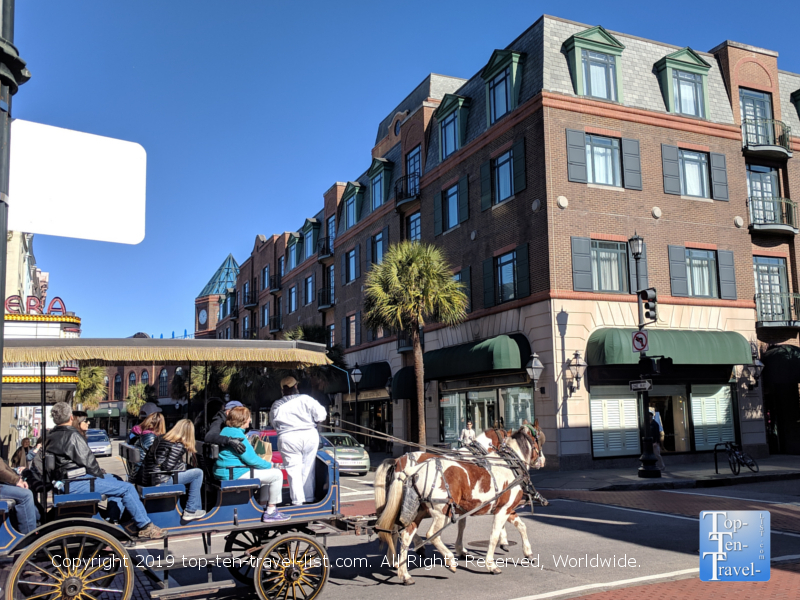 Walking along downtown’s cobblestone streets, alongside romantic carriages, you will notice the refreshing absence of big business and common chains. As you stroll around and immerse yourself in the city’s rich culture, gorgeous architectural wonders surround you in every direction. From taking a romantic carriage ride amongst the city’s most prominent historical sites, to stepping your toes on the soft sands of a beautiful beach, to enjoying some Southern style shrimp and grits, to exploring Civil war history, to hiking amongst gorgeous Spanish moss trees while you take in incredible vistas of cypress swamps, there is something to do for everyone in Charleston. 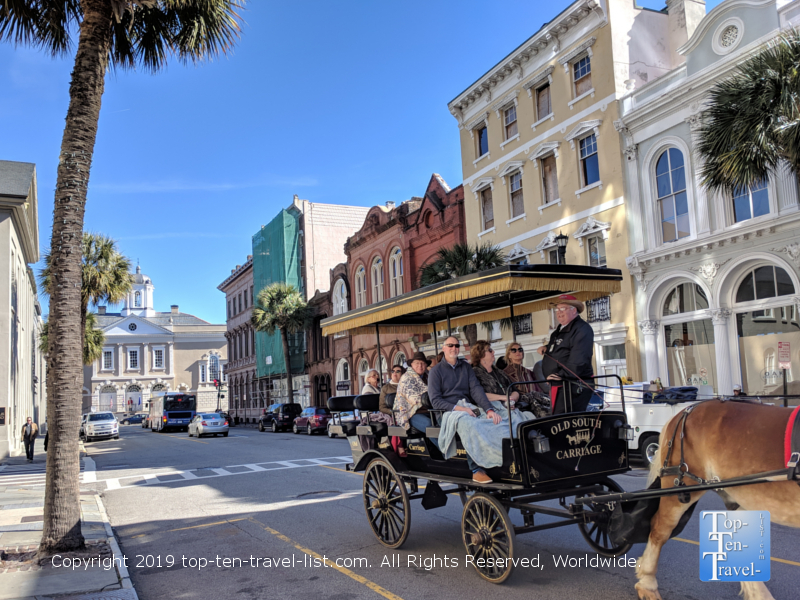 The best way to learn more about Charleston’s rich history is by taking a carriage tour through the gorgeous downtown district. This is definitely the top thing to do if you are a newcomer to the area. 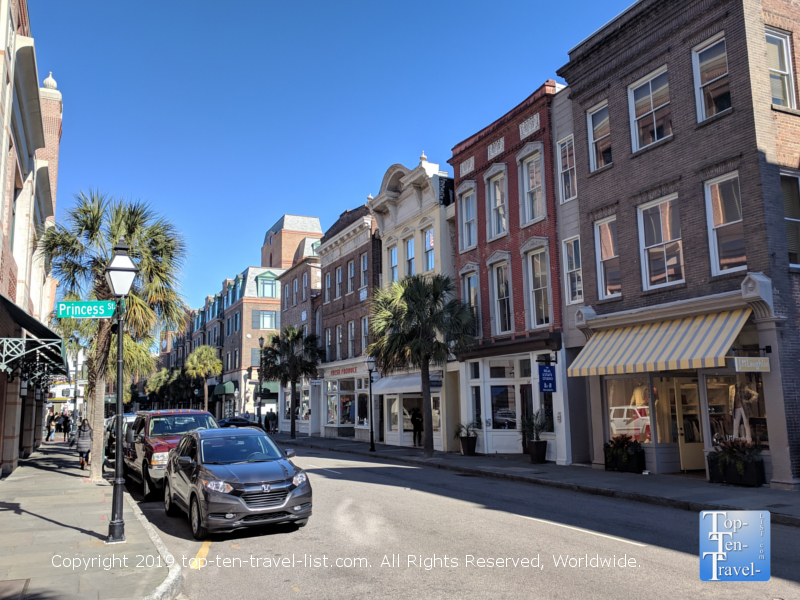 Not only will you learn so much more about Charleston’s history and see so many gorgeous historic buildings, you will also save your feet some extra stress. As there is a lot to see downtown, any opportunity to cut down your walking a bit helps. You will quickly see that there are numerous carriage options. 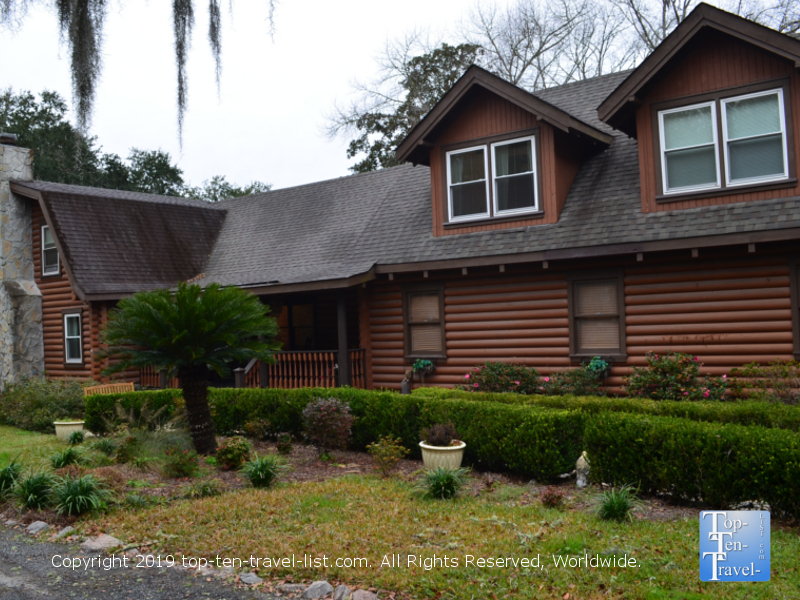 Palmetto Carriage Works is the oldest running company, and has also been voted the favorite by visitors. Tour guides are knowledgeable, entertaining, and personable. You will be taken on 1 of 4 tours (selected by random draw as a way to cut down traffic and congestion). 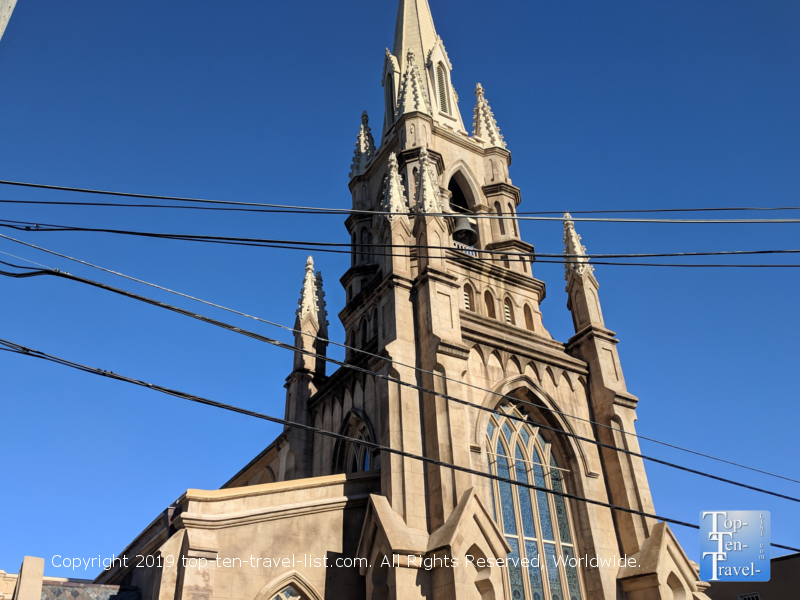 Sights of interest could possibly include Rainbow Row (a gorgeous section of colorful row houses), historic churches, beautiful gardens, and historic mansions. 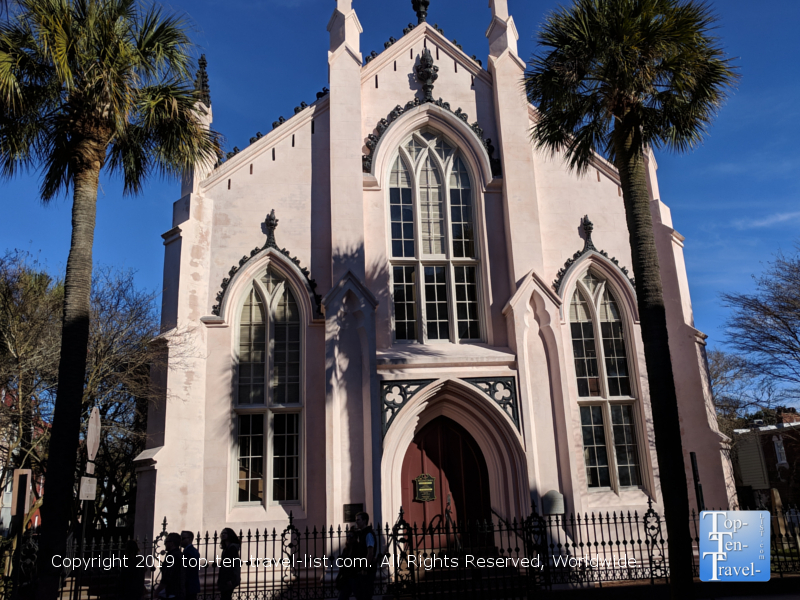 Our tour took us past many of Charleston’s most architecturally gorgeous churches. 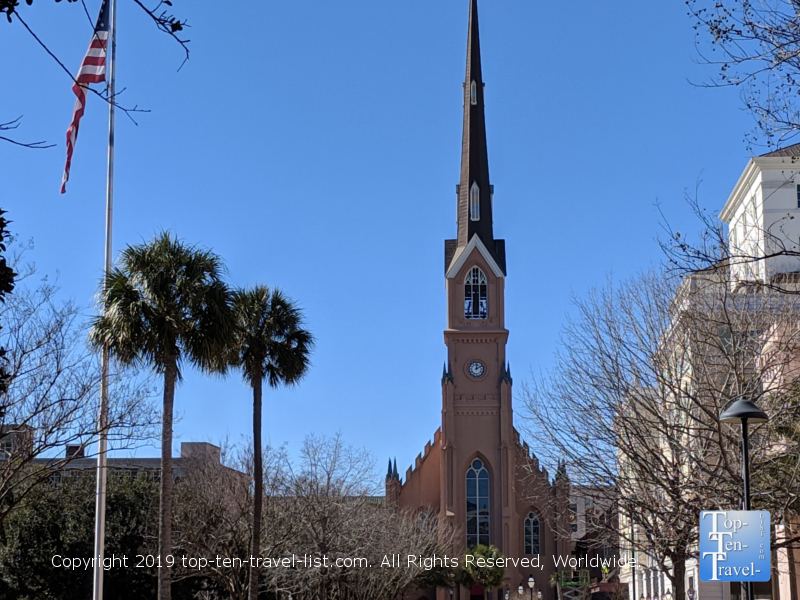 Did you know that Charleston is nicknamed “the Holy City?” This name arises from the fact that the town was a big supporter of religious freedom, as settlers of various religious denominations arrived from various parts of Europe. 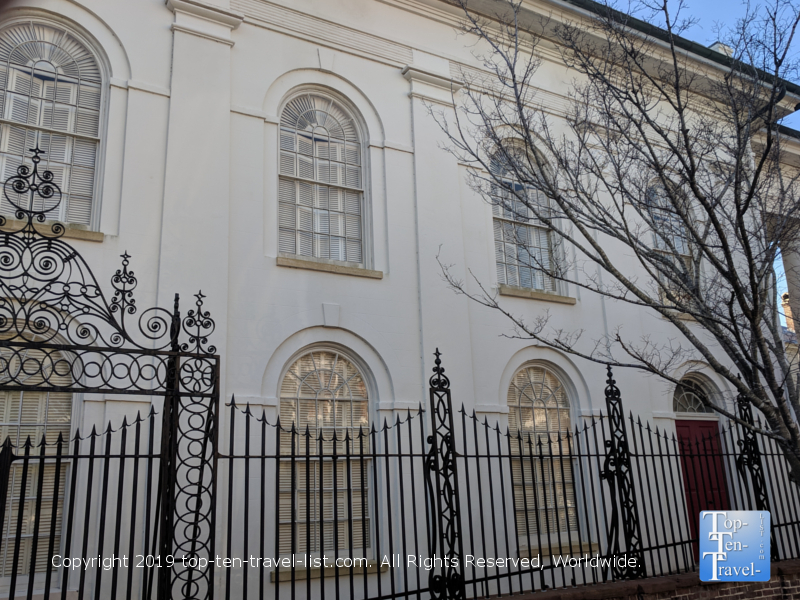 Diversity of churches include St. Michael’s Protestant Episcopal Church, the oldest church in Charleston, and Beth Elohim, the oldest synagogue in America. 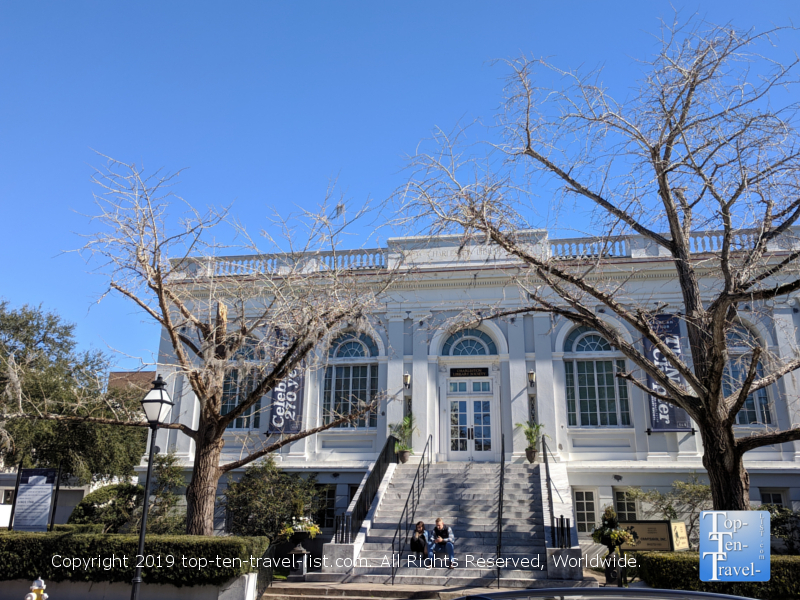 Another interesting site we came across, the Old Charleston Jail, housed many infamous criminals (the jail operated between 1802-1939) and is now considered a paranormal hot spot. You may have seen it featured on various TV programs like Ghost Hunters and Ghost Adventures. 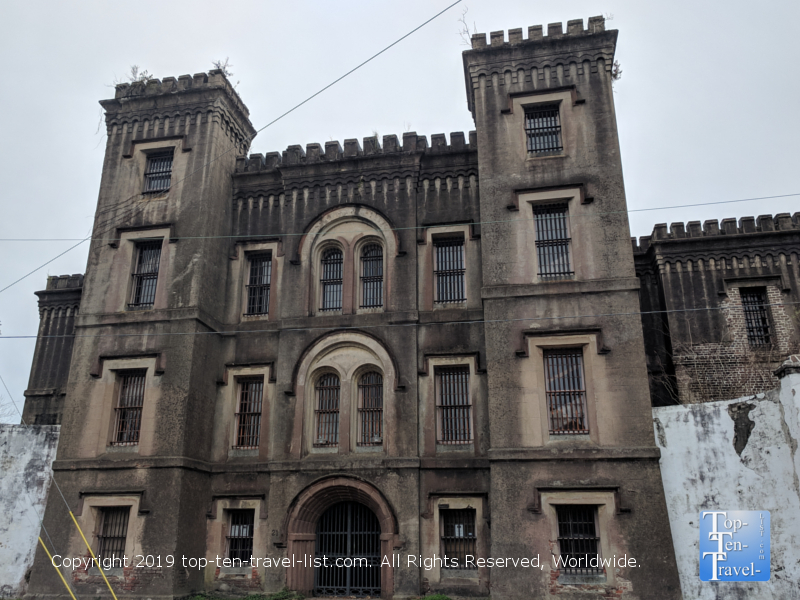 If you have the time, check out the Haunted Jail tour! We learned so many interesting tidbits along this tour and our tour guide was beyond friendly and knowledgeable about the area. I would highly recommend this carriage tour to new visitors. Tickets are $25 per person. 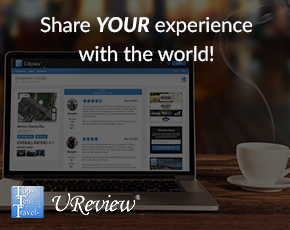 Check Groupon and hotel brochures for special deals. 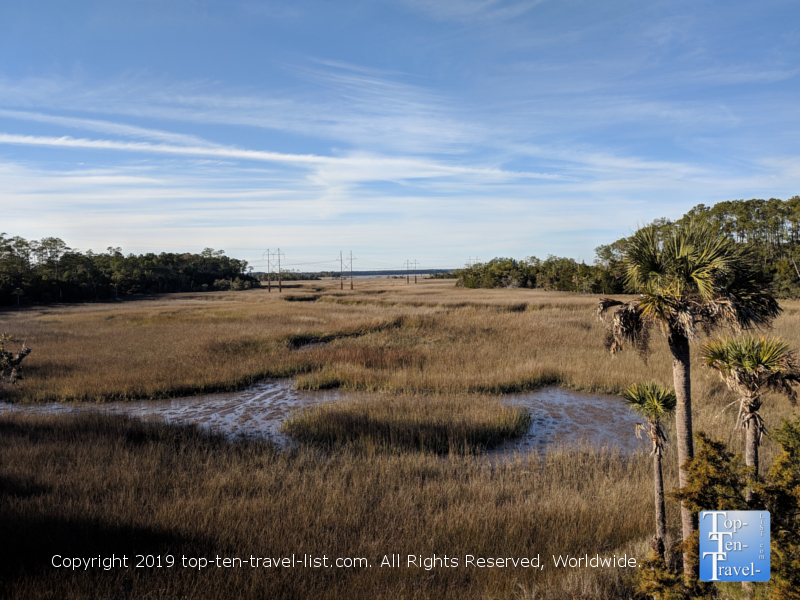 The Low Country region of South Carolina is home to more salt marshes than any other Atlantic state. 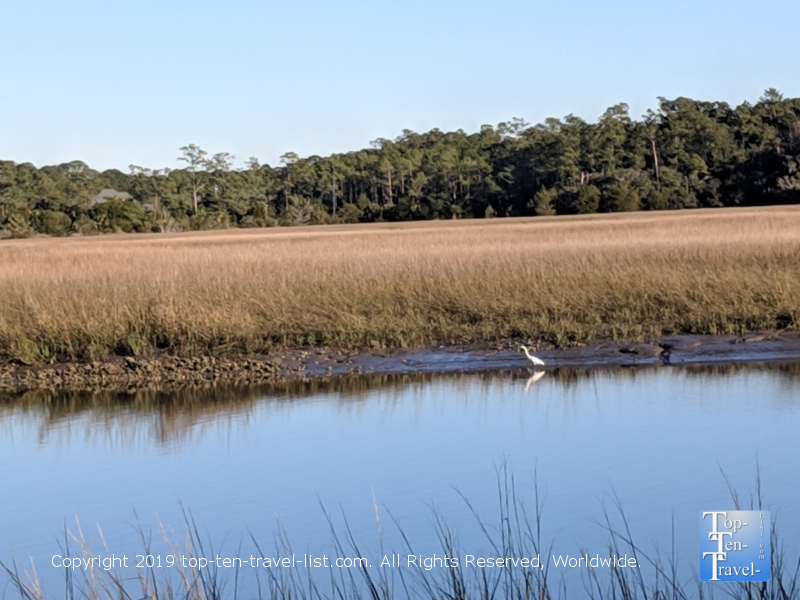 Numerous species inhabit these marshes including many interesting birds such as the Egret, Blue Heron, and Osprey. 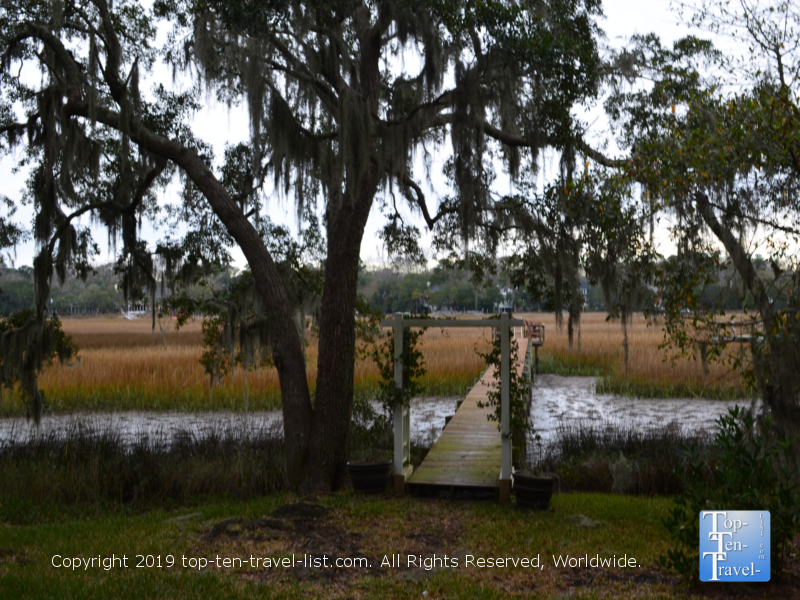 Any park in the area is a fantastic place to enjoy the incredible low country scenery, as well as birdwatch. 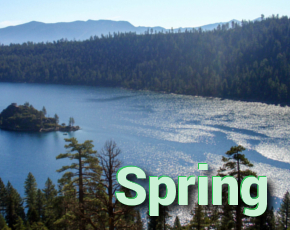 Unfortunately, most tourists come and go without checking out any of the beautiful natural attractions in the area. 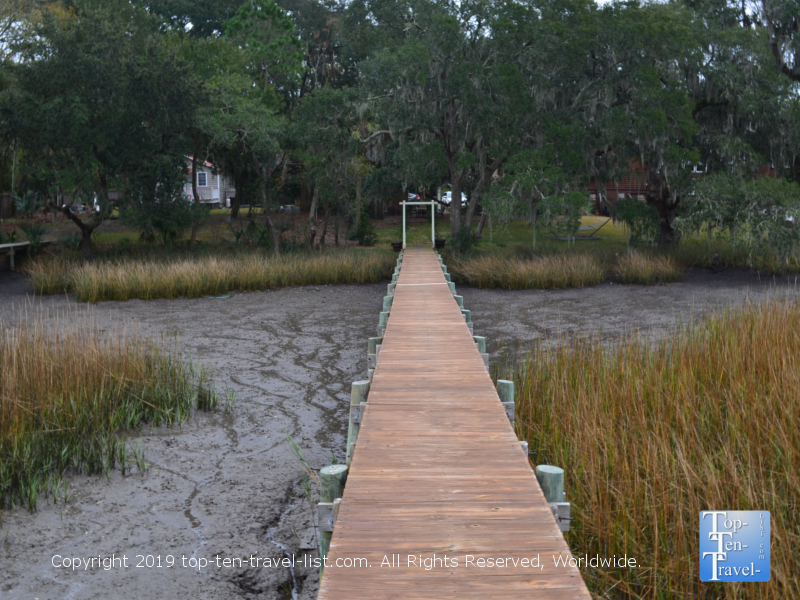 Palmetto Islands County Park in the charming suburb of Mt Pleasant is a great place to escape the downtown congestion for a bit. 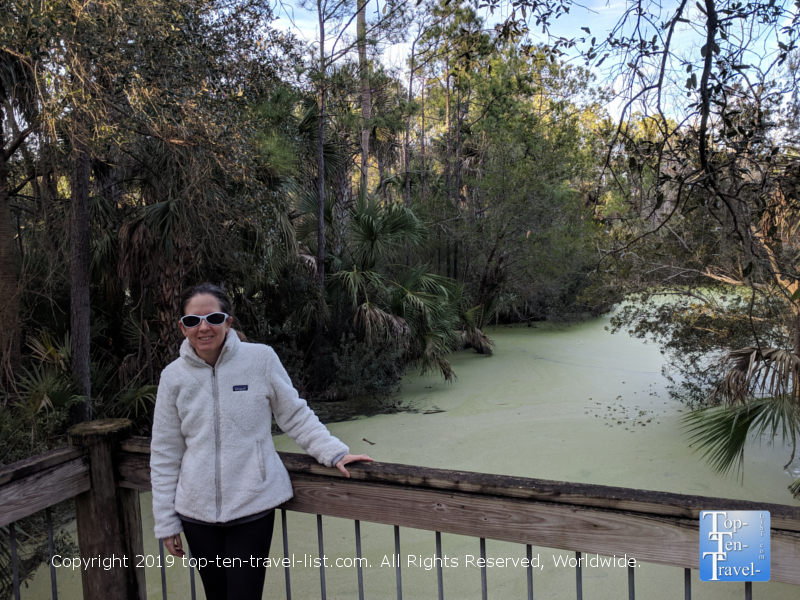 Here, you can enjoy a nature walk or bike ride, watch for alligators, and explore the beautiful preserved wetlands found throughout this region. Lush tropical plant life and bird watching will keep you busy as you get in a refreshing workout. 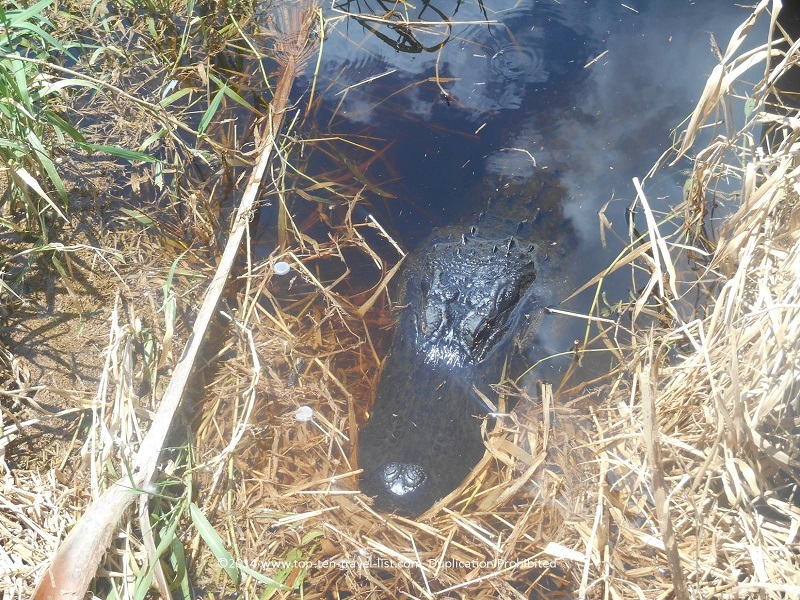 Be on the lookout for gators – most commonly sighted in the spring and summer months! Because these 2 architecturally amazing streets are located so close together, you can conveniently plan to visit both at the same time. If your carriage tour does not include a tour of this beautiful area, I highly recommend checking it out for yourself. 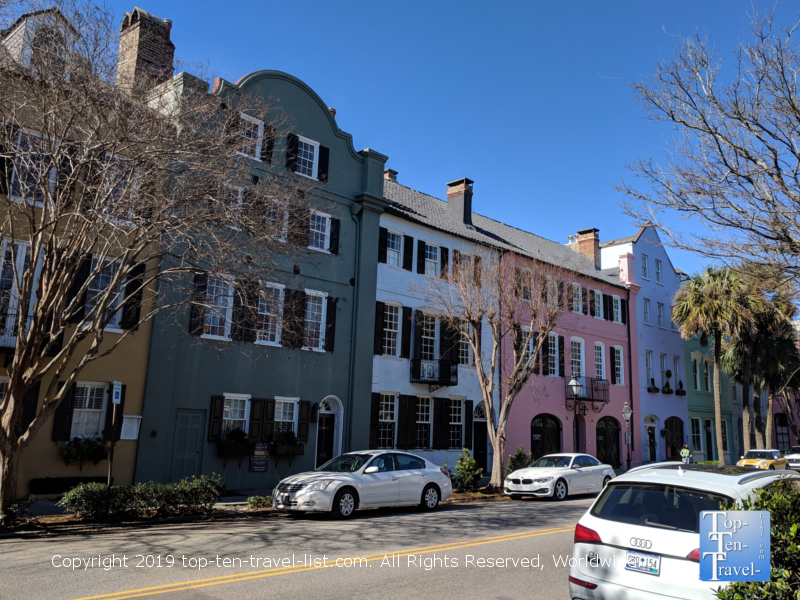 Rainbow Row, aka as Painters Row, is an aptly name block of historic brightly colored pastel rowhouses near the waterfront. Although there are a number of colorful buildings scattered about downtown, this is the main area that draws so many photographers. It’s a really unique photo opp and if you time your visit just right, you can catch a glimpse of a historic carriage making its way down this iconic street. 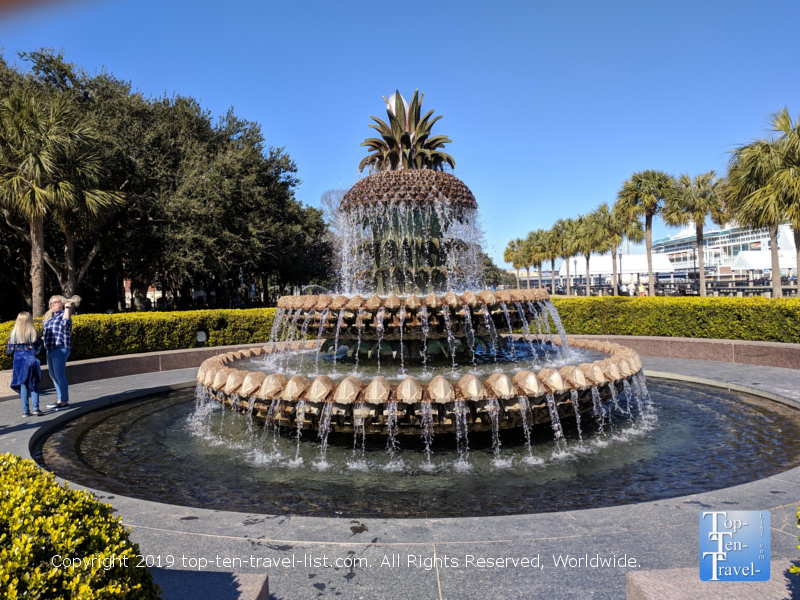 From here, you can take a short stroll over to a waterfront area known as “The Battery.” This area, named after civil-war coastal defense artillery battery, is located at the southern tip of the Charleston peninsula where the Cooper and Ashley Rivers meet. 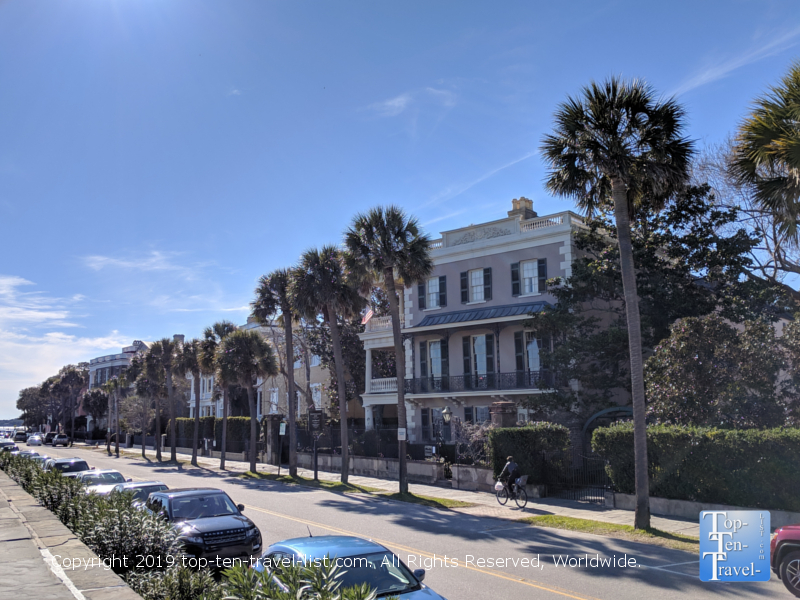 This is a gorgeous area for a stroll as palmetto trees and multi million dollar houses (the largest home is 20,000 sq feet!) line one side and the water on the other. 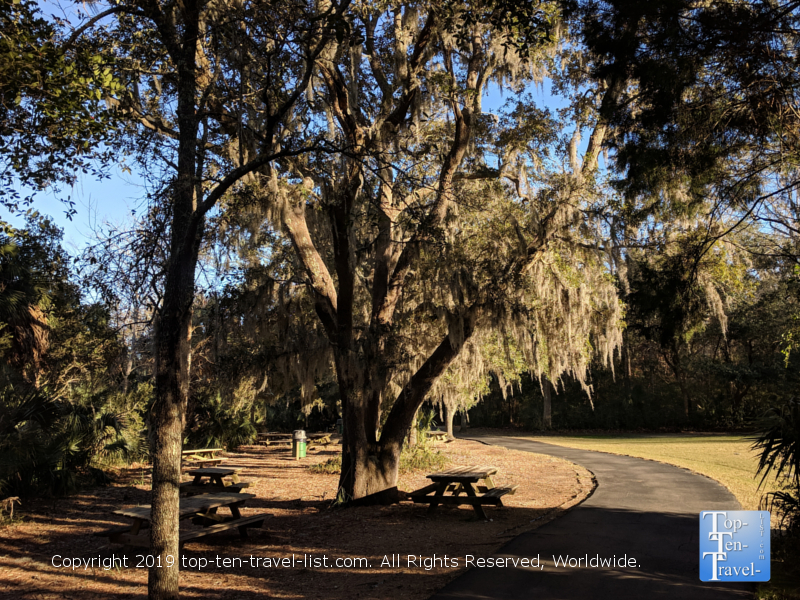 Additionally, you will find pretty fountains, tree-lined paths, and plenty of places to sit and enjoy the Southern sunshine. 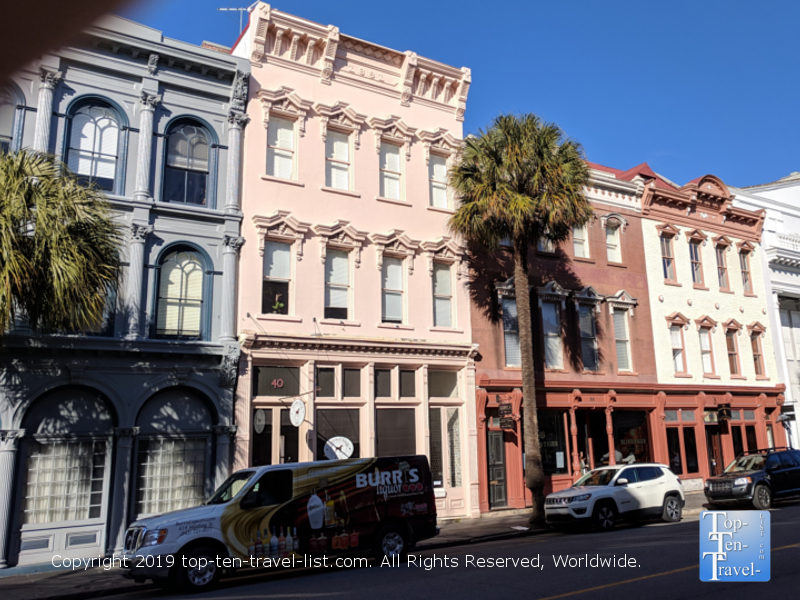 Do a quick search on hotels.com and you will notice dozens of generic hotel chains and timeshare resorts comprising the majority of lodging choices in the Charleston area, as they do in most cities across the country today. Skip these in favor of spending the night at a historic inn. 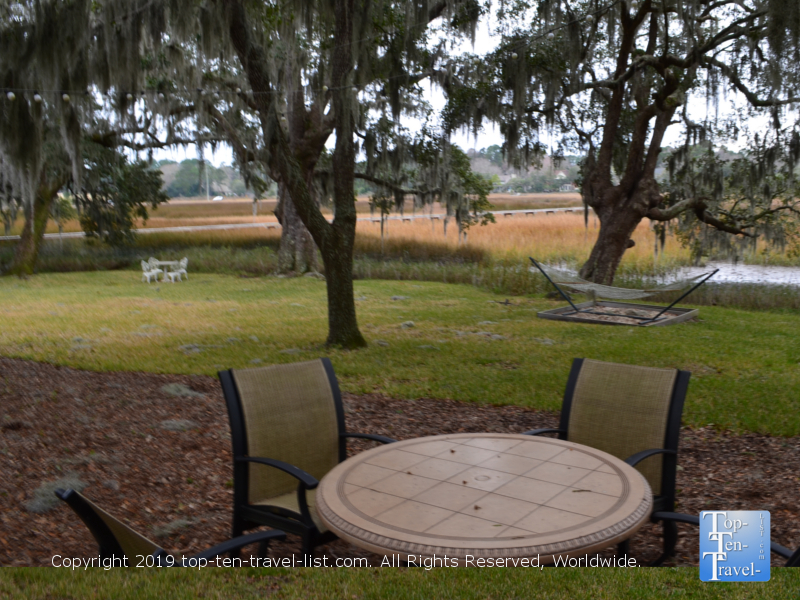 The B & Bs in downtown Charleston are quite pricey, although convenient to nearby attractions. If you feel like saving a few bucks, there are numerous budget friendly options around the vicinity. 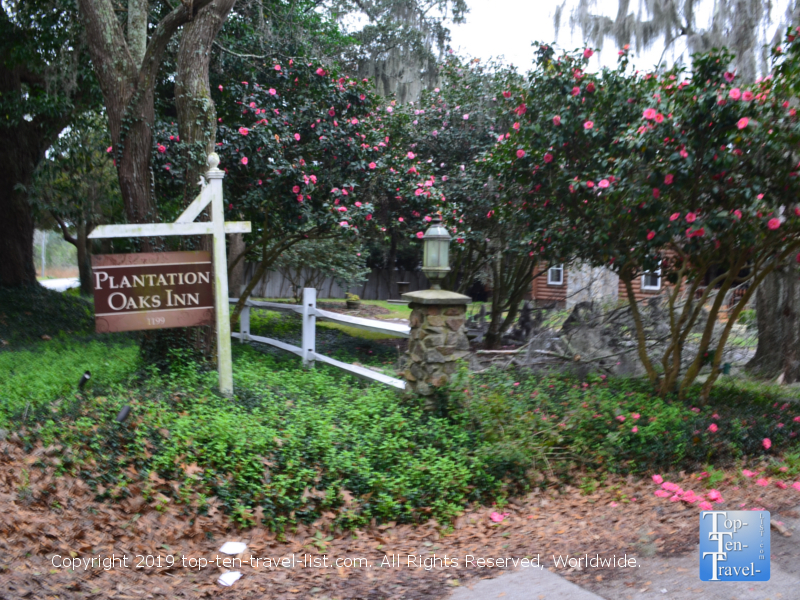 One of the best B&Bs in the area is Plantation Oaks Inn in the quaint suburb of Mt. 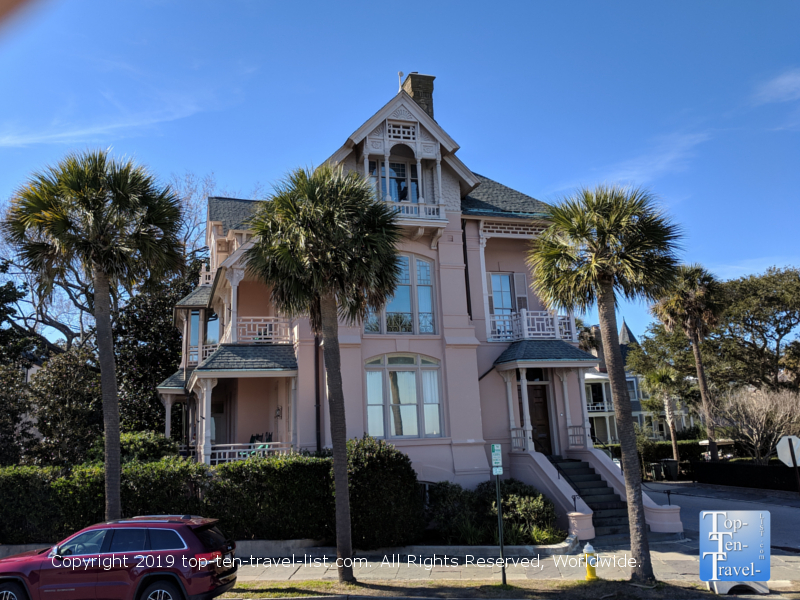 Pleasant, a convenient 20 minute drive from Charleston and just 10 minutes from Mt Pleasant County Park and gorgeous Isle of Palms beach. This place really forces you to relax as there are no TVs and Wi-Fi is limited. 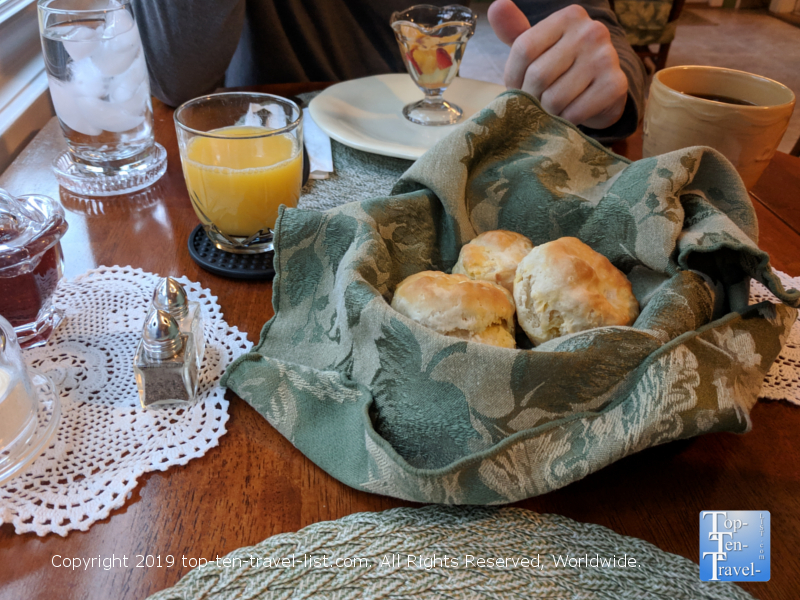 This historic property was originally part of the Snee Farm Plantation that was owned by Charles Pinckney, signer of the United States Constitution, This inn is limited to just 5 guest rooms, so the ambiance is extremely laid-back and quiet. 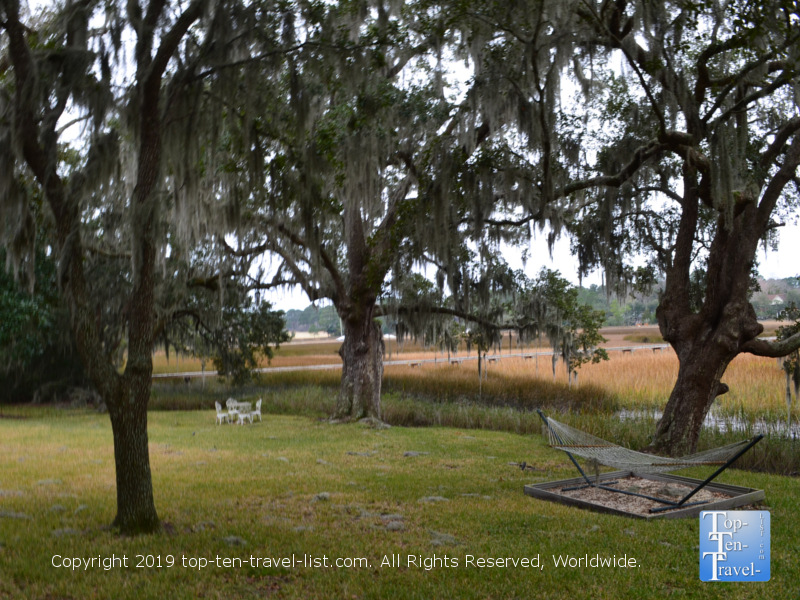 Beautiful oak and Spanish moss trees, as well as fantastic views of the tide creek and marsh, allow you to truly soak in the Southern sunshine and scenery. 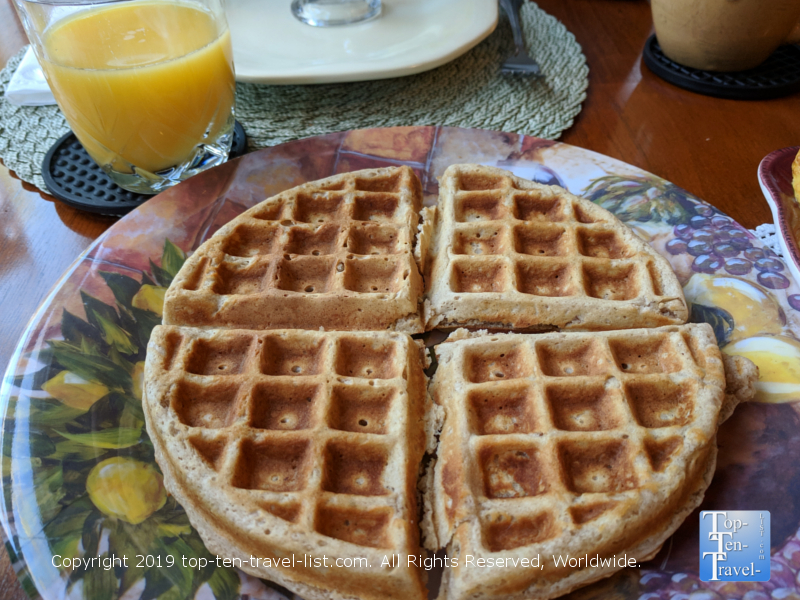 The owners here are super friendly and will accommodate special dietary requests. 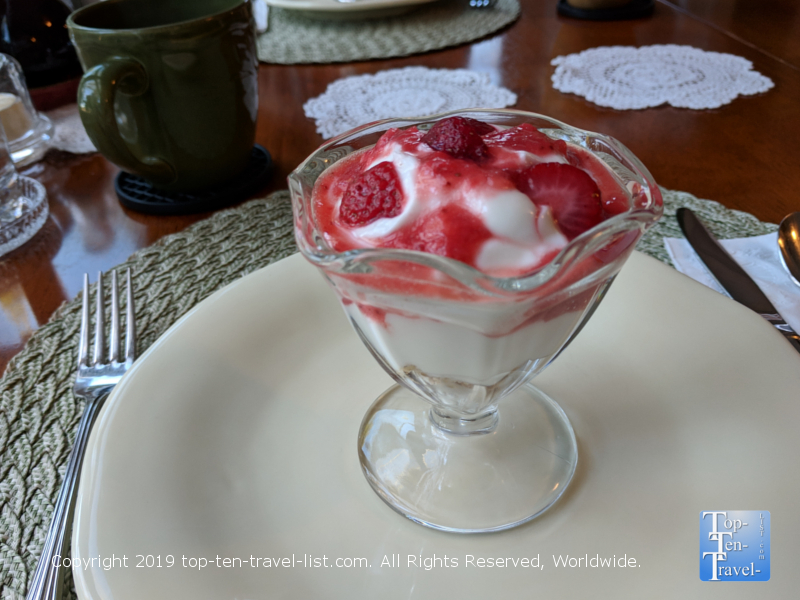 The breakfast varies by day and is excellent, although the best part is the incredible setting looking out unto the beautiful marsh. Coffee is fantastic too so no need to find a Starbucks! 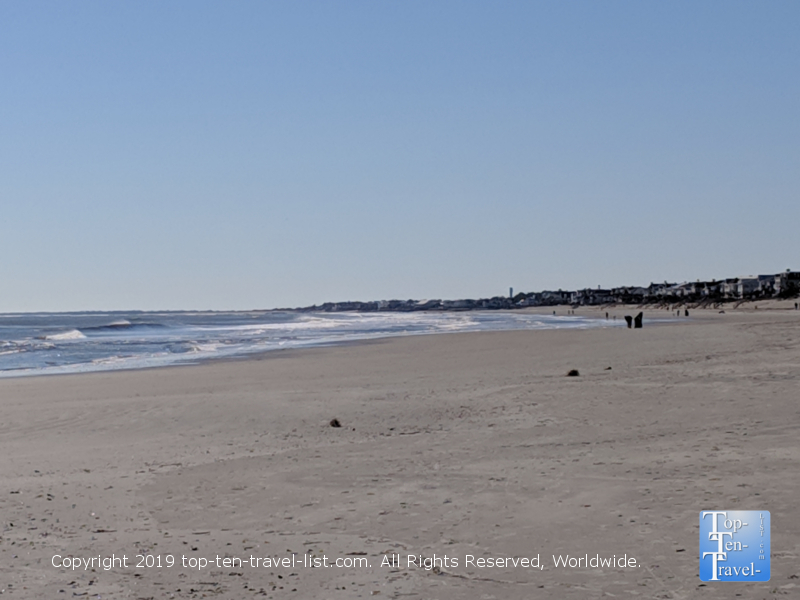 There are numerous beaches within a close proximity to the Charleston area. Not surprisingly, these beaches are extremely popular during the summer season, when the heat and humid soars to intolerable levels. 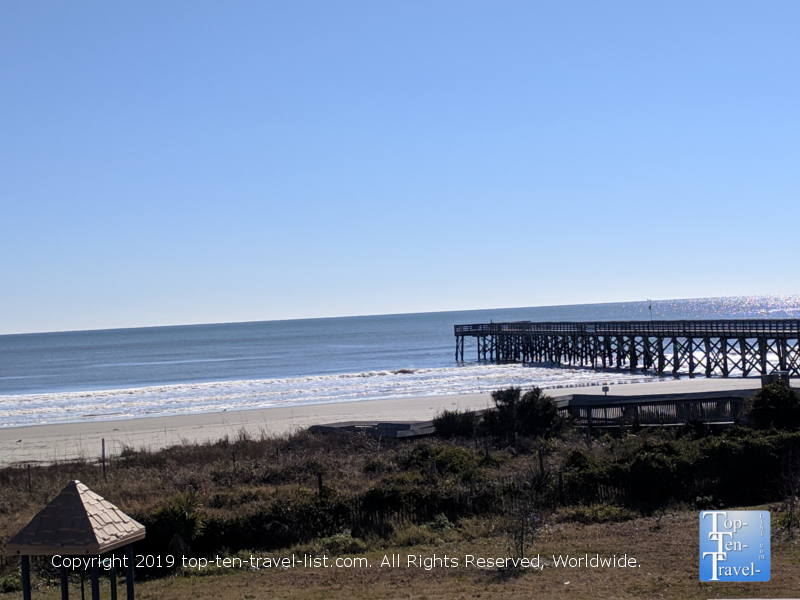 While Folly Beach is great, it’s also the most crowded of the bunch. Isle of Palms is a nice quiet alternative. 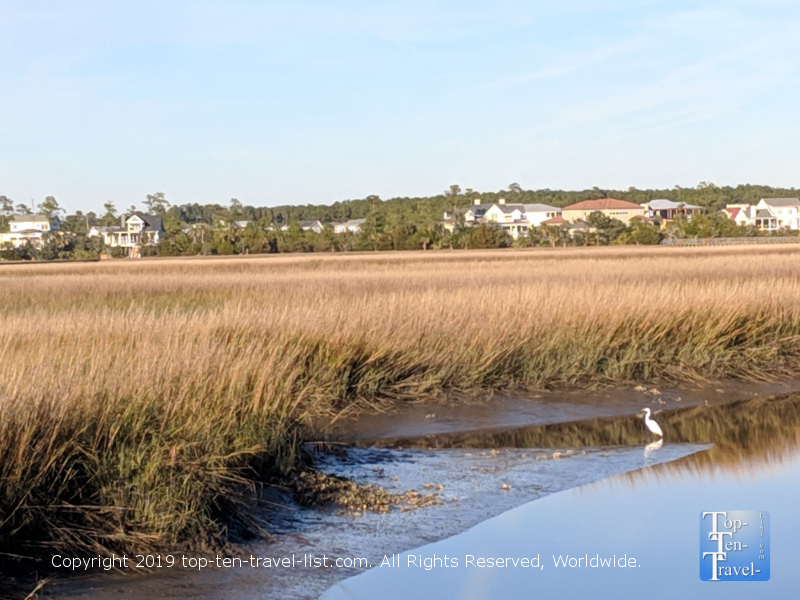 Whether you feel like sunbathing, collecting seashells, dipping your feet in the water, or simply taking a nice stroll, Isle of Palms offers a nice long shoreline to do so. There’s plenty of room here so it never feels overcrowded. 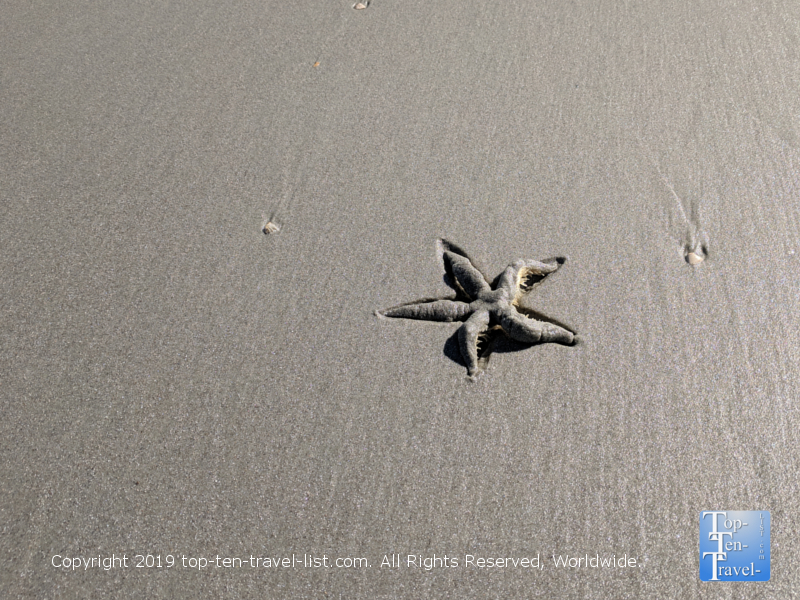 After a few days on your feet exploring Charleston’s historic sights, it’s nice to rejuvenate and reconnect with nature via beach date.